It's from a book called crobots. Here is how far I am at the moment. Need to collect some of the parts! 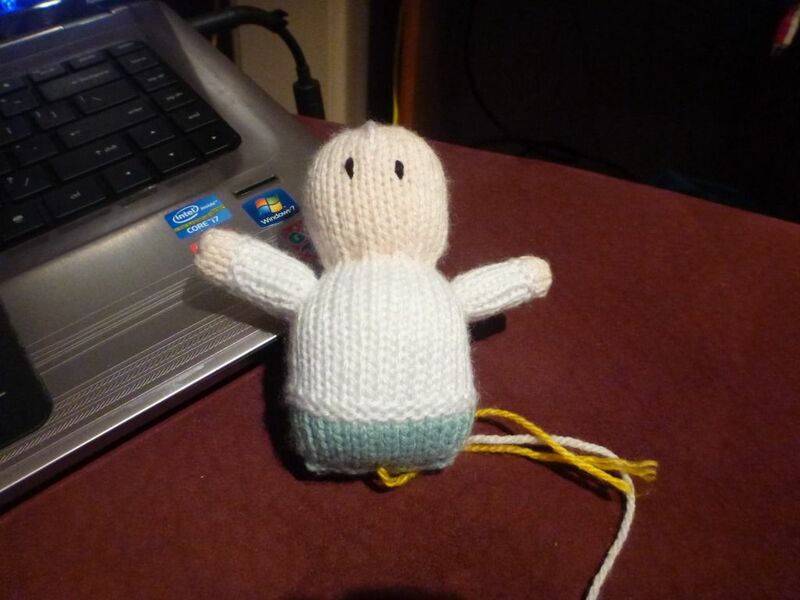 I have also been knitting a little chef which will go inside his own donut for my mum for christmas! He's not anywhere near finished can you tell? 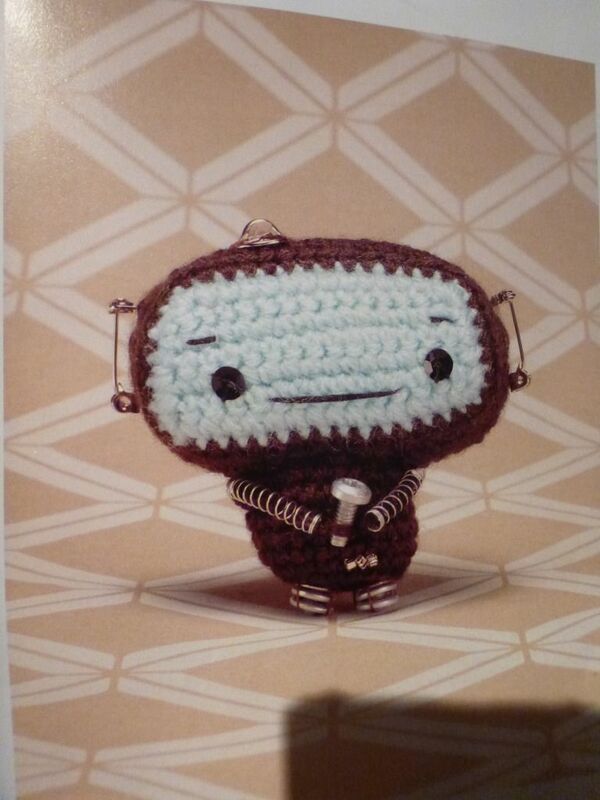 CROchet RObots. How adorable! Great job! Congrats on selling your duck in a donut so you can buy more stash! I love this little crobot, he's so cute! Congrats on the sale too. What a great way to raise stash money. 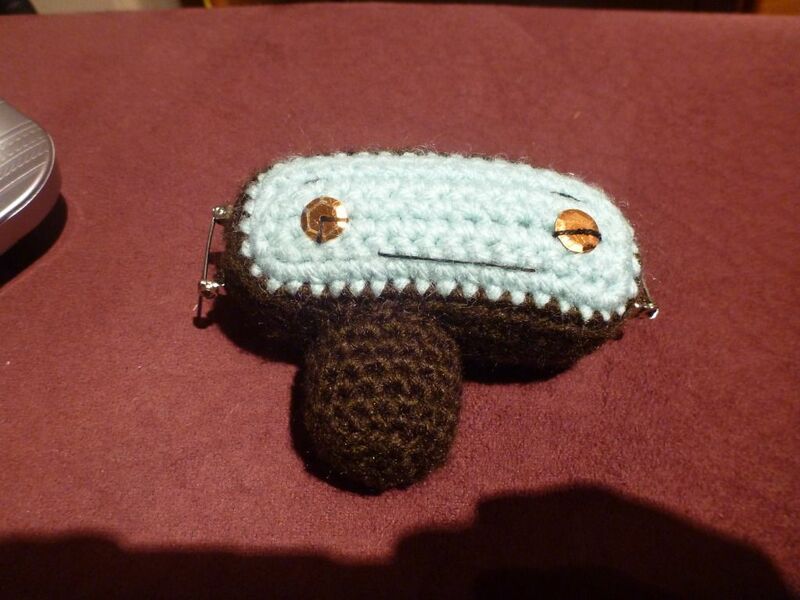 crobots -- how cute! And what a great way to get some money for stash.